A power of attorney must clearly state the powers that the principal is granting the agent. 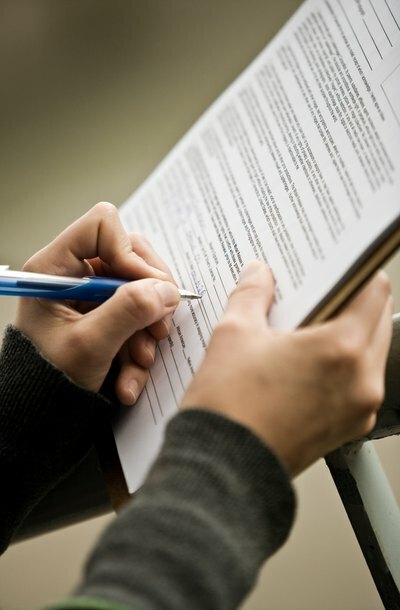 Both the principal and the agent must sign the authorization form in the presence of a notary public. New York requires all powers of attorney executed on September 1, 2009, or later to include the exact wording contained in the General Obligations Law under the headings "Caution to the Principal" and "Important Information for the Agent." The authorization form must be either legibly handwritten or typed in a size no smaller than 12-point type. A power of attorney must comply with special rules to authorize an agent to make gifts of $500 or more on behalf of the principal. The principal and agent must sign a statutory "Major Gifts Rider" in addition to the statutory authorization form. The statutory authorization form itself must include a section containing wording that specifically authorizes the agent to make gifts, and the principal must initial this section. The statutory authorization form and the Major Gifts Rider must be signed and notarized by two witnesses in addition to the principal and the agent. The agent may not make gifts to himself, but is entitled to compensation for his services if the principal specifies compensation in the authorization form. A New York power of attorney becomes effective only when the agent signs the authorization form. If there are two or more agents, it becomes effective only when the last agent signs it. A durable power of attorney remains in effect even if the principal becomes incapacitated -- that is, mentally incompetent or unable to communicate -- whereas a non-durable power of attorney expires as soon as the principal becomes incapacitated. One of the innovations of New York's amended General Obligations Law is that a power of attorney is presumed to be durable unless the principal states otherwise in the authorization form. A principal may revoke a power of attorney without notice as long as he is not incapacitated. A revocation is not effective against a third party who had no reason to know of the revocation. For example, the principal might sign a power of attorney form that grants the agent the authority to enter into contracts on the principal's behalf. If he revokes the power of attorney but does not demand that the agent return the power of attorney form, the agent can present the form to a third party and sign a contract to sell the principal's house. If the form contained the agent's original signature (not a photocopy) and the third party was not notified of the revocation of authority, the principal will be legally bound to sell his house to the third party.